The task is to make the most original, fun yet viable deck using Soulbound Sagami. The winner’s deck will be the one with the most original idea and which uses the chosen card as efficiently as possible. Hello, friend! Are you tired of meta? Got beaten up by the big bad whale? The Blood Tyrant is too overwhelming? Then this contest if for you! Build an awesome deck with a card that does not see much play, share your idea with us, earn prizes and shake up the meta! Metashaker deckbuilding contest #4 starts now! The task is to make the most original, fun yet viable deck using Soulbound Sagami. The winner's deck will be the one with the most original idea and which uses the chosen card as efficiently as possible. 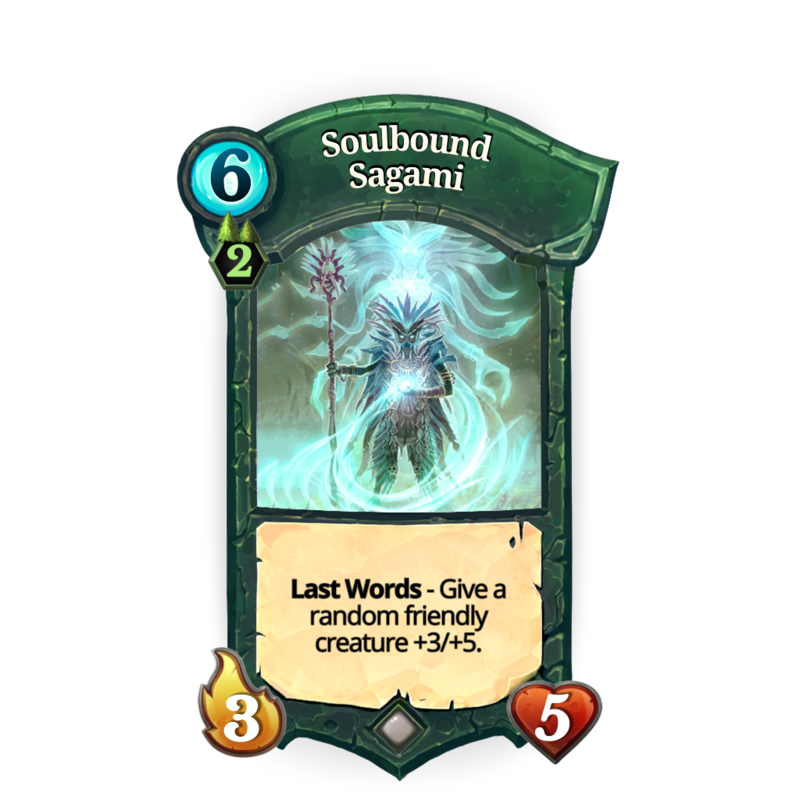 The deck must contain at least one copy of Soulbound Sagami. You may submit as many decks as you want. You may only submit your own creations. It is prohibited to submit someone else's deck. The contest ends on Saturday July 8th. The winner will be determined in a few days after. The amount of synergy and possible interactions the given card has with the other cards in the deck. What role the given card fills in the deck, how efficiently it does so. How original and fun the deck is. The overall deck viability in the current meta. It may be a screenshot from the ingame deckbuilder or the Hub or the link to deck posted on the Hub. When you provide us with the link to deck posted on the Hub make sure that you have published your deck (in the deck editor go to Preview -> Publish). You may also write a deck description but it is optional. If you feel that there is something special that we absolutely must know about your deck — feel free to write about it! Thanks to Atmaz and Abrakam for the prizes! For all the info contact me (Bobrokrot#0111) on the Faeria official Discord server.